What happened to NCL MS Southward ? By southbayer, April 4, 2005 in What Ever Happened To........??? 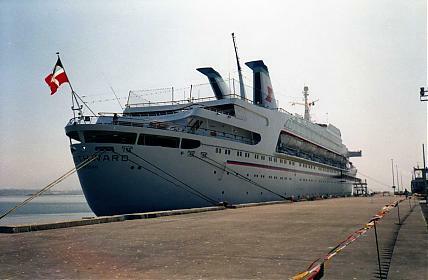 In 1994 NCL sold her to the then start-up cruise operation of the UK tour operator Airtours who renamed her SEAWING. 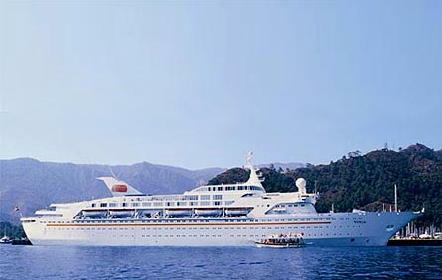 The ship was later sold to Louis Cruise Lines and chartered back to Airtours, who later changed their name to MyTravel. 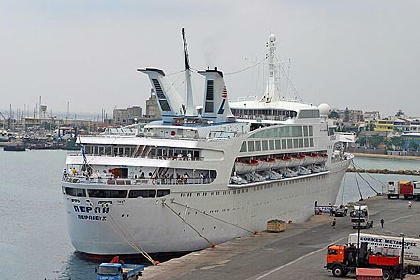 MyTravel exited the cruise business in 2004 and SEAWING was returned to Louis who renamed her PERLA and will be using her for cruises in the Greek Isles. See here for more information. It's so funny that the M/S Southward was my first cruise as a kid! Wow have the ships changed.. I sailed on the Southward in 1988 for my honeymoon, a 10 day trip from Miami to San Juan....loved the ship, had a great time. Great crew! Actually, my wife and I at the time thought the whole cruise experience was very confining and actually kinda corny, and so we almost gave up on cruising all together based on that "Southward" cruise. Wow! Our first cruise was also on the Southward in 1992, 5-day Baja. Got us hooked on cruising! Dh and I cruised on the Southward for our honeymoon too back in 1984. Here is what she looks like now. We ran into two of her sisters the Coral (Ex Sunward II) in Athens and the Orient Princess (ex Starward) in Mykonos last year. Add me to the list of those initiated into cruising aboard the NCL Southward. My cruise was in November 1974. 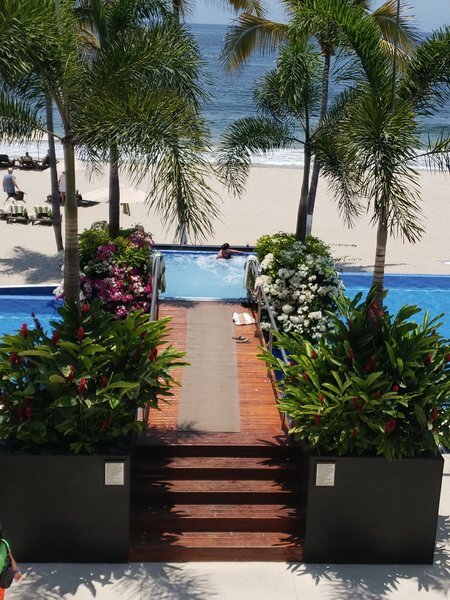 It was a two week cruise to the southern Caribbean. 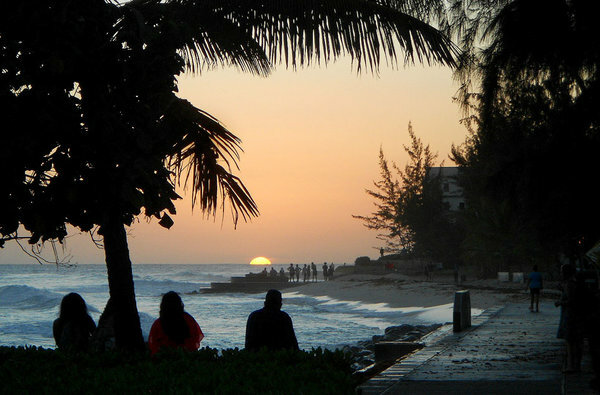 If memory serves me correctly we stopped in Aruba, Barbados, Curacao, St Maartin, St Thomas, San Juan, and Nassau. I was single at the time, met some great folks, and caught cruisin' fever. Our first cruise was also on the Southward in 1989 - a 3-nite cruise to Baja. We haven't stopped cruising and don't ever intend to stop!! Deck names on the Southward can anyone help? The Southward was our first cruise experience on our honeymoon 5/6/84. We were hooked. I still remember the free yellowbirds at the Honeymooners party that got us so trashed. She was an intimate ship. The casino was dinky, I think 2 bj tables. The disco was on top and damn it was hard to dance with out bouncing off your neighbors. And we learned to never try to leave the dining room without at least trying dessert! I still remember sailing back our last night and passing the Norway sailing out. We were amazed by her size and made a promise then that we would sail her some day. We finally made good on that promise, 7 times! Just recently saw the old Southward on TV shuttling people to safety out of Lebanon during the most recent war. As far as I know, PERLA ex SOUTHWARD was not involved. However, her older near sister, ORIENT QUEEN ex STARWARD was definitely involved in the evacuation and the focal point of several days' worth of news coverage. I sailed the Southward in 1980 and remember the hammocks they had on the in between open deck area.I loved that section of the ship and spent many hours in the hammock having afternoon cocktails. Does anyone remember the hammocks? It was the Starward, and she has been and was sailing out of Beruit. We sailed her in 1991 in the Caribbean, and ran into her in Mykonos on our Grand Princess Med / Greek Island cruise. Her is what she looked like last year. I suppose Southward was a popular venue for first time cruisers because it was a cheap, short cruise . .It was our first (of over twenty . . ) cruises probably in 1988 . .
We enjoyed it, but were very disappointed with the excursion in çensenada and got our money back! Now we live in the Canary islands, and we travelled on Seawing around the islands. We didn't even realise it was the same ship until months later when we saw an article about the ship! Great tea time on the Seawing . . . May try her now as the perla! Dec. 1993 was my first cruise. The Southward got me hooked. My second cruise was on NCL Crown for 12 nights in the British Isles. I don't remember the hammocks. NCL Southward LA to Ensenada 1993. Our first cruise.